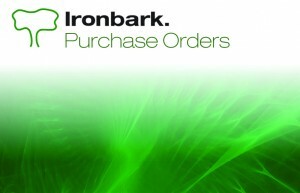 The Ironbark Purchase Order software is designed to streamline and control the purchasing operations of your business. It is integrated with Ironbark Stock, Creditors, Job Costing and General Ledger modules. Ironbark’s Purchase Order software provides for full purchase history, foreign currency trading & distributed landed costs, multiple supplier product codes, printing, emailing or faxing of purchase orders. It also offers an item/supplier function with multiple suppliers for the one item allowing for fast comparisons of supplier prices and quantities using the manufacturer’s product code. Purchase orders may be subject to approval / release by nominated administration. 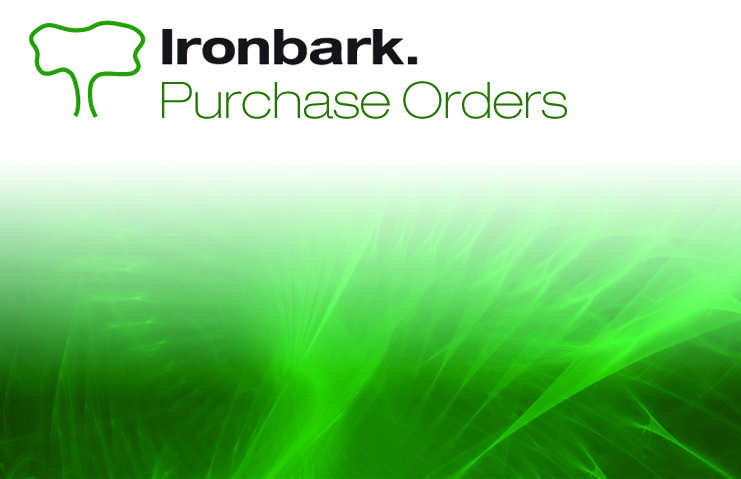 When stock is received and entered , Ironbark Purchase Orders allows for partial delivery . On receival of invoice, costs are adjusted and additional landed costs such as freight, duty and bank charges are entered. These costs are distributed to the line items with the inventory and creditor ledgers updated. The inventory maintains last cost and weighted average for item costs. Goods received are matched to purchase orders with a fast function search of outstanding orders available. 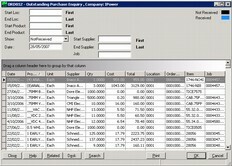 The Purchase order system also supports serial and batch controlled items. Landed cost calculations and foreign currency trading and variance on exchange rates are provided for. Enquiry is possible by supplier, product and order number showing current status of each line item and the amount of stock backordered and by expected delivery date and quoted cost. Amendments or cancellations to order details can be made at any time with auto re-ordering based on sales history or min/max levels. Reports can be produced by supplier, order number, invoice no, product, or product within supplier for selected date ranges; showing stock received, stock backordered and expected delivery and receival dates. 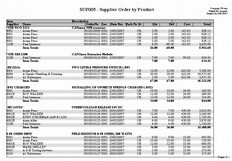 Supplier cost comparison, expected stock report, QA rejections, Shipping report and Order reports are also generated. Ironbark Purchase Orders is a reliable, flexible and valuable purchasing application for your organisation. View more information about it in the Purchase Order software overview.